Determine missing and damaged insulation for VISN 7 and match new insulation with existing, workable materials. US2 began the project by conducting a three-to-four day field assessment of the sites in Birmingham, Charleston, Montgomery, and Tuskegee. US2 identified where insulation was missing, damaged, or in need of replacement. Reports were logged and submitted to the VA, which were approved. The field assessments gave US2 the preparation necessary to complete the project on schedule and within budget. 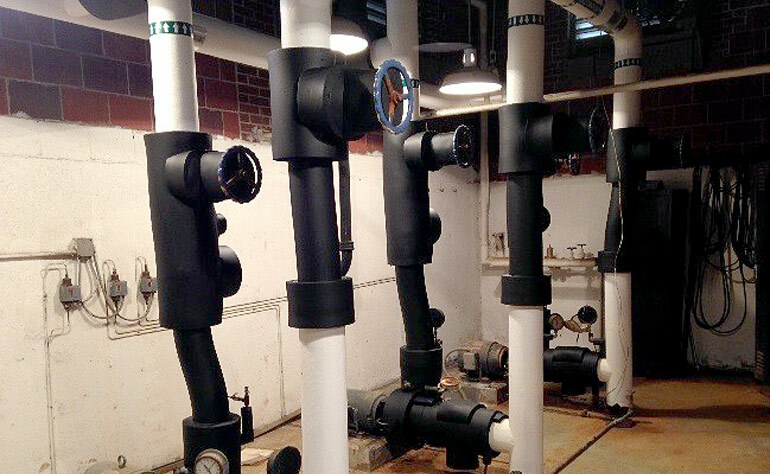 Insulation thickness was provided to match existing conditions, using 2007 ASHRAE 90.1 Energy Standard for Buildings piping measurement s. A total of 48,850 linear feet of insulation was provided, including 14,500 lf in crawl spaces.